The SHARKK wired gaming mouse is one of the proudest members of the SHARKK gaming hardware product family. 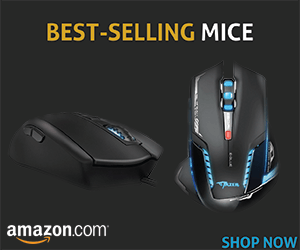 This gaming mouse is in the low-priced gaming mice class and it is one of the best wired gaming mouses available on Amazon, well, at least, one of the best designed and most functional for that price. SHARKK is very near the top brands of the gaming mouse industry, and this gaming mouse is one of their best rated products. SHARKK always goes and produces quality products with amazing design. 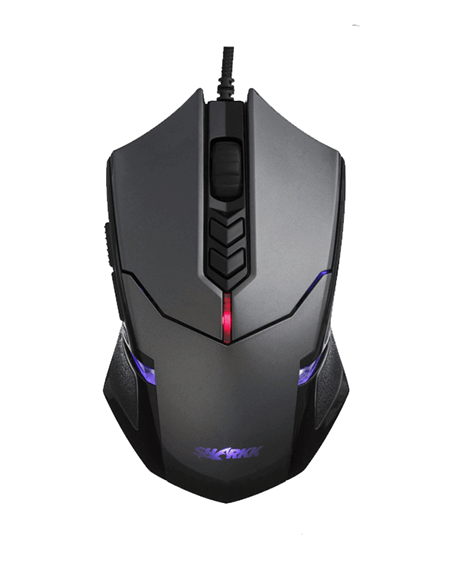 The SHARKK wired gaming mouse is a full-featured, programmable mouse that is one of the most loved and popular wired gaming mice among gamers. To determine what this gaming mouse can do and what are its features, we decided to do this SHARKK gaming mouse Review. First of all, the angular design is one of the best you will find in a gaming mouse. Not only because of the looks but because of the ergonomics and the functionality. That is because the mouse features an ergonomic design that will enable enjoyable and long gaming experiences, aided mostly by the low-friction Teflon feet. Don’t think that if it’s a wired gaming mouse you will have problems with the cable, because this cable is an anti-tangle braided cable that you will basically not feel at all. Movements and clicks are flawless. They are not too light or too easy to click, which is the optimal standard for a great gaming mouse. The built material is also really good and feels durable compared to what you would expect for the price. Besides the design and looks, the feel of the mouse is one of the most important features. The feel of this mouse is fantastic. This is because the curves are in all the right places. The thumb, index, and basically my whole hand sits naturally and feels really good and comfortable. The weight is average and if users like heavier mice, they can add weight discs from the bottom to get the right feel. 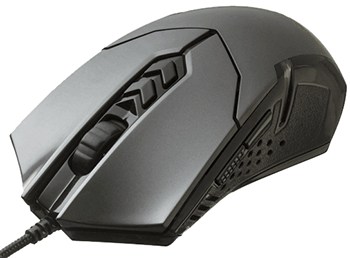 The movements are mostly great because the mouse features 1000 Hz polling rates and it can achieve up to 3500 DPI. This is much better than the other mice featured in its class. There are 7 programmable buttons that users can customize. There are LED lights as well that can indicate your customization. The important thing is that the software is light and easy to install and really intuitive while using. The users can create different profiles, each with its own button functions and light settings. It is easy to conclude that the customization of the SHARKK Wired Gaming Mouse is very powerful. The SHARKK mouse is one of the most versatile, comfortable, feature-rich, affordable, and best gaming mice you can find on the Internet. If you are on a budget and you are looking for a replacement of an expensive gaming mouse from the popular brands, try this gem from SHARKK. It is ergonomic, beautiful, programmable, and has adjustable weights. It is just as any gaming mouse should look and feel.